In the current economic model, the creation of value has shifted from the physical product to the immaterial dimension. In the Conventional Value Chain, the product has become a ploy for the enhancement of other dimensions, such as logistics, branding and finance. The new rural economy demands to regain possession of these processes and reorganize them on a Community-basis, in order to return the value to the material product itself. The challenge is to combine People – Planet – Profit, in order to create economically sustainable businesses, finally able to assume social responsibilities and – at the same time – respect the environmental balance of a region. This new economic model borrows from the past those values which seem to be ​​useful to the present (frugality, solidarity, respect for the ecosystem and biodiversity protection) and aims to transfer them in the contemporary space and time – thanks to the current technologies. Many young innovators are taking into the rural areas, in the agricultural context, the high job skills they have acquired through their urban life or stays abroad; they express a global culture and share the network ethics, thus enhancing powerful new semantics of the categories of the contemporaneity. So, the life choices of these young people, projected in the ionosphere, and narrated through social networks, are no longer a private matter but something that becomes strongly public and political. This operation reduces the space-time distances between a metropolitan modernity, where the facts of the future seem to happen, and a rural backwardness that we assume anchored to the past. That’s how we introduce the concept of #smartrurality, a rurality which becomes fundamental to re-read the contemporaneity through a dialectic of sustainable lifestyles and new possibilities. 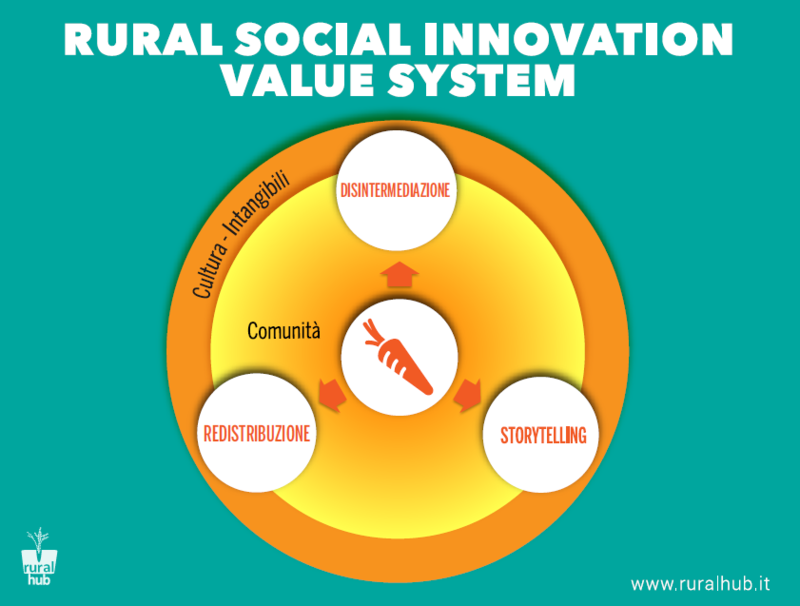 The Rural Social Innovation System is a new model: the concept of disintermediation takes the place of logistics, storytelling replaces marketing and redistribution supplants finance, subverting the conventional value chain and finally projecting the focus on the product, in a ratio of osmosis with the community. Disintermediation works in a community dynamics, bringing together manufacturers, producers and local communities. Branding is replaced by an authentic storytelling – able to convey the evocative and real value of traditional products. Redistribution triggers mechanisms of return of the value (both tangible and intangible) within the very same community. This model clutches together People, Planet and Profit, by generating positive effects in different fields, such as the Agriculture, Environment, Food, Health and Economy. The basic idea is that it is necessary to recover a holistic approach, able to highlight the direct and indirect outcomes of our choices: what we call Rural Social Innovation Impact. 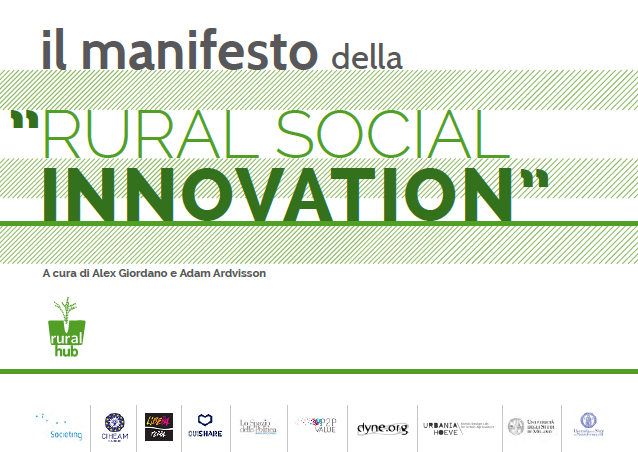 The measurement of the impacts of the Rural Social Innovation System could provide evidence on the generated value. The point is: we need to build tools able to measure the results produced by the rural activities in order to project a more sustainable world. We all must respond to the growing ‘grassroots’ demand for change. Innovations – both new and old – recovered from rurality, truly can show us a new way for a human-centered economy.